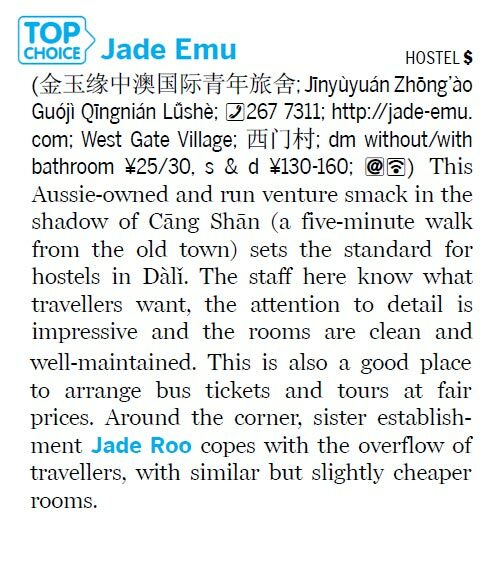 Built in 2008 and foreign managed, the Jade Emu International Guest House provides accommodation for the "budget conscious" traveller looking for rooms and facilities of a more international class. Double, twin, triple share, family and dorm rooms available - all are modern, clean and comfortable. Staying here, you'll be relaxed and ready to explore the ancient and natural wonders in this beautiful area of China. Spacious and pleasant seating areas in all courtyards and common areas. Quality pool table, table tennis table, fussball table, dart board. 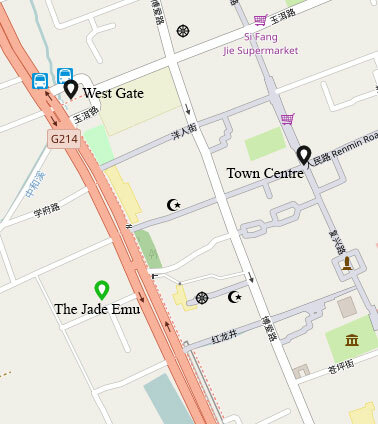 Located just 1 minute from the West wall of Dali Old Town and 5 minutes walk to the centre of town, the Jade Emu International Guesthouse is conveniently located.